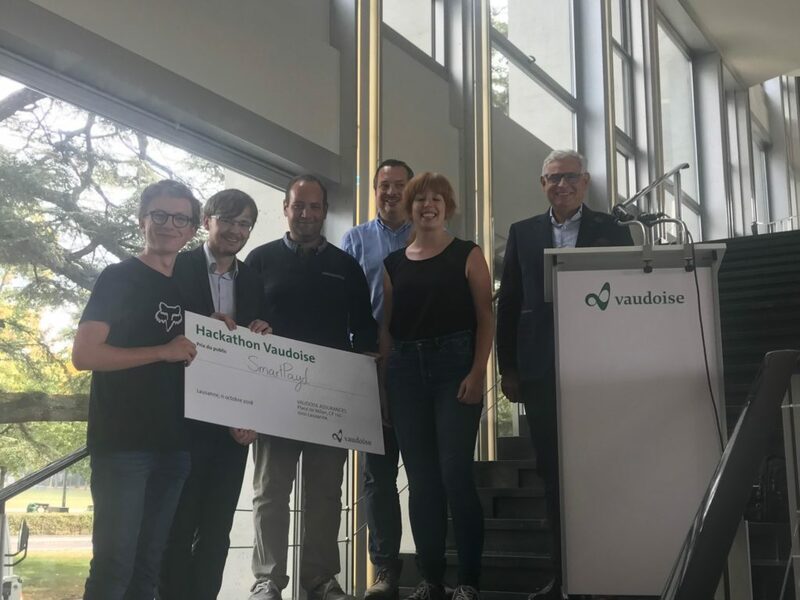 In October 2018 we were invited to participate in the 3rd annual Hackathon of the swiss insurance La Vaudoise in Lausanne. The challenge was to create new offers customer value oriented. The Team with our consultant Alexis Rabilloud won an award. The CEO of La Vaudoise, Mr Hebeisen, congratulated the winners!